Callitris or Cypress pines are found in all states of Australia, with 13 species being native to Australia they vary from large shrubs to small to medium sized trees. Like many great plants, 11 of these species are found in Tasmania. You may not have heard of Callitris, however chances are you have seen it used as timber. C. glaucophylla is the species most widely used to make furniture, outdoor timber for sleepers, and it is widely used in building construction. The natural oils and resins allow it to be a long lasting timber and this is the appeal. Species such as C. oblonga nana are small, reaching around 3m in height, and suited for use as a low screening tree. With many species, Callitris have a number of garden and landscaping uses as well. They range in appearance from bushy shrubs to more open spreading trees. Foliage also varies in colour from a blue green to mid green. Also useful as windbreak trees in rural areas and screening trees for roadside plantings. Commonly called cypress pines although they are not related to pine trees, some species are grown for timber. Callitris glauca or White Cypress Pine is the most common and has found widespread use in the building industry due to its termite resistant qualities. C. rhomboidea or Port Jackson Pine is found on the coastal tablelands near the NSW/QLD border and in parts of Western Victoria. C. preissii is the Rottnest Island Pine. 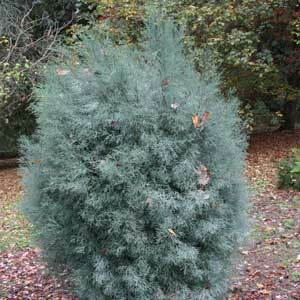 C. columellaris is an upright form and useful for confined spaces, also known as the White Cypress Pine and Bribie Island Pine. 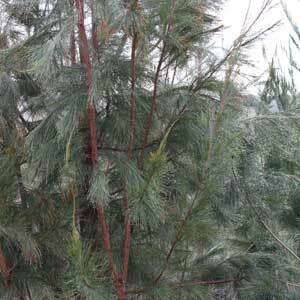 C. endlicheri is the ‘Black Cypress Pine’ and is well suited to coastal conditions. C. oblonga nana – Tasmanian Pygmy Pine. Callitris glaucophylla – White Cypress Pine.